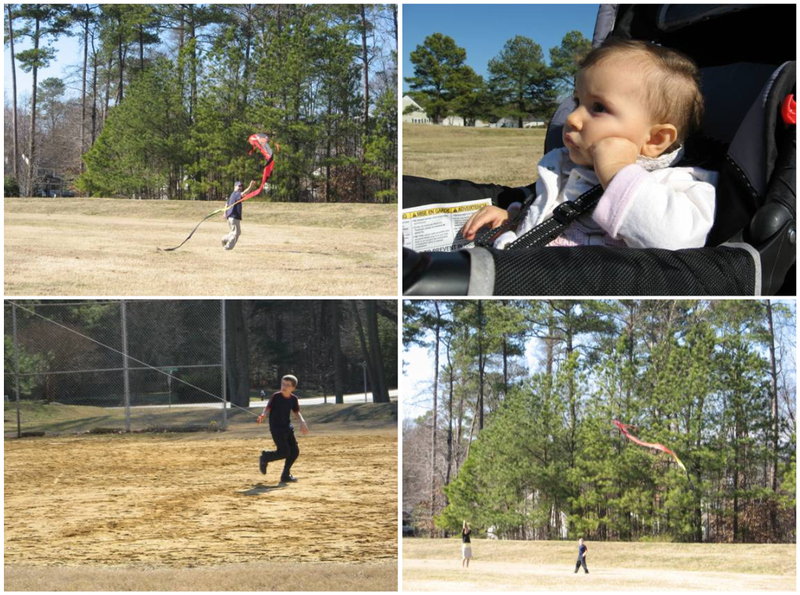 We were going to do a whole lot of chores the other day, but the weather was absolutely beautiful. My thirteen-year-old would be in the pictures, too, but for finding his friends skating on the neighborhood tennis courts. He and they promptly left together. Oh well, he made his own fun, but he sure missed out on ours. So, not much progress over the weekend on my manuscript, I’m not even writing much of a blog here, and S’s room is still in the state of disaster that I was hoping to give emergency relief. 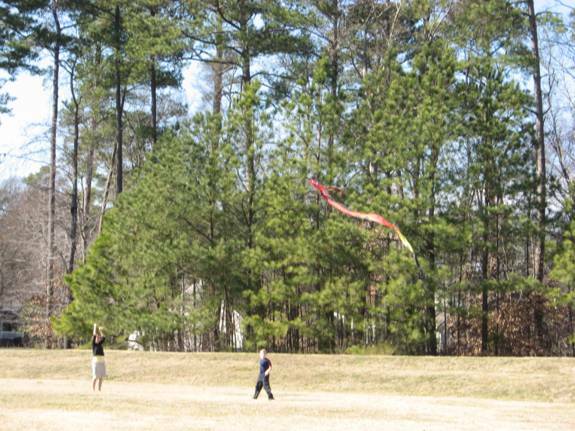 But the sun was shining, the wind was just right, and sometimes, you just have to go fly a kite. 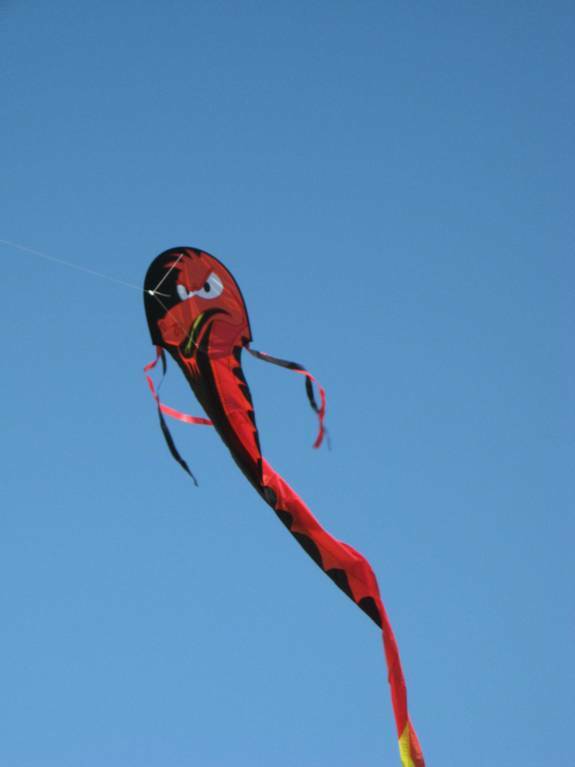 Neat kite! …Now cathy, that can’t be the baby that won’t nap or let you write. That has to be some other baby. She looks too cute and well-rested. she’s really a very mellow kid. even her not sleeping is pretty mellow. not a screamer in the least, about which i’m extremely grateful, esp after my other two. That looks so fun. Will have to suggest it to Tom. Sam would love it.